The DJI Osmo handle is compatible with the Osmo Gimbal and Camera, and the Inspire 1’s Zenmuse X3, the Osmo Handle brings DJI’s advanced image stabilisation system to very compact handheld system, which allows stable video to be shot at any time and place. The integrated design of the Osmo Handle comes with a series of powerful shooting features and intuitive controls. The Automatic Panorama and Timelapse functions are very easy to use and allow you to produce the perfect results that make your work stand out. The Osmo Handle’s easily accessible trigger, control stick and buttons will allow you to easily capture photos and video, the controls enable the important camera functionality to be used single-handedly. The Osmo Handle comes with a built-in microphone and can be used together with a range of accessories like the Extension Rod and the Tripod, for use in any environment imaginable. 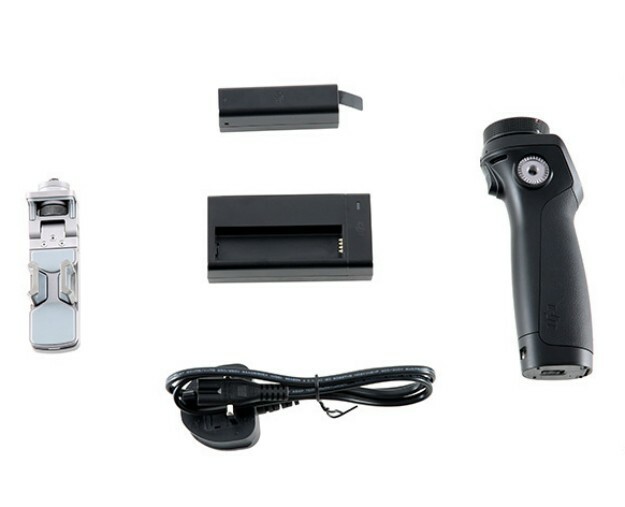 The Osmo Handle Kit includes a battery, charger and phone holder. Gimbal and camera excluded.